This weeks reading is Bo which translates as Come! Of course both in the English and Hebrew it does not make grammatical sense. Come to Pharoh as a command or direction is not the same as Go to Pharoh. The Zohar explains that HaShem is telling Moshe come with me to the home of the greatest evil called a crocodile. On the physical world that is what is represented by Pharoh. There are 105 verses in this Portion. The code word is Yood Mem Nun Hay. this word can have two Shoreshim. ONe is to prepare or appoint. the other is to enumberate or be counted. Note that the Parasha of Chayai Sarah and this weeks Parasha Bo have the same number of verses. There is a connection. Sarah is a code word for our bodies before the coming of Mashiach. As such the Exodus/redemption mostly applies to our bodies and less so to our souls. The story is the last 3 plagues: Locusts - the Sephira of Binah of the negative side. Darkness - the level of Chochma of the negative side; and The Killing of the First Born which is the Keter of the negative side. There is also the Mitzvah of the new moon, the Exodus itself, Tephilin, and Pideon HaBen (Redemption of the First Born). All of this lead to the deep essence of this portion which is "Be Prepared". Be prepared for the revelation and manifestation of the 72 Names of God. Be prepared to connect to HaShem at all times. Be prepared to do restriction always. Be prepared to see HaShem within and behind the creation. Lets look at the Mitzvah of the new moon in more detail. This is the first Mitzvah given to the Nation and it is given to be exercised while in exile prior to the redemption. The Hebrew calendar and the Astrological signs are in sync. This means that The Astrological sign begins at the Rosh Chodesh and ends at the last day of the Hebrew month. Also the names of the Hebrew months in the Torah are not the same as the names of the months used in the Babylonian Talmud. There is criticism throughout the generations that Astrology is not pure and as it says in the Talmud Ain Mazel Israel. For 1500 years when a Jewish person went to his Rabbi and asked "what about Astrology to learn"? He was told "Ain Mazel Israel". which he would go on to explain that Israel can raise above the influence of the stars. The Rambam (Moshes Maimonides) teaches that each and every star has a soul and acts as a Malach (Angle/Messenger) for Hashem. The Torah is filled with references to Astrology. Starting with the question "Why did Jacob have 12 sons who became the 12 Tribes of Israel?" So let me be clear in explaining the words of this Mitzvah which is expressed in Chapter 12 verse 2. This month shall be for you the beginning of the months, it shall be for you the first of the months of the year. It is true that Israel is able to arise above the influence of the angels called stars . . . only when they are connected to HaShem. The nation as a whole is always connected to HaShem. The individual Jew is connected to HaShem when he is living the verse from Psalms "I have Hashem before me always (Paraphrased). When is one connected to HaShem? When one is visualizing the name of HaShem. When one is living a life of changing oneself! When one is do a Mitzvah with the consciousness of sharing! Otherwise --- the rest of ones's life is subject to the influence of the angel/stars. What does all of this mean. One came into this world by choosing the time and location of one's birth. This time is chosen by and for each soul for the Astrological influence to assist the movement of time, place, circumstance, and other aspects so that one is brought to potential involvment and circumstances for one to be given opportunities to acheive ones Tikune. By understanding this truth, one can utilize the tool of Jewish Astrology to help one shorten one's process. Go to the site www.mazelknowledge.com (under construction) that will allow you to learn what is your Tikune. This information when you utilize it in your life can shorten your process. 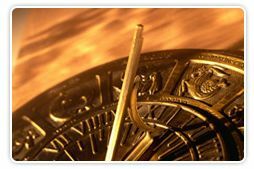 Astrology when utilized as a tool can assist you in knowing (not the future) but the past. The past that you need to correct in this lifetime. . . or you can continue to reincarnate until you get it right by blind luck. why don't you try the tool? The knowledge is feely available to each and every man, women, and child in the world.